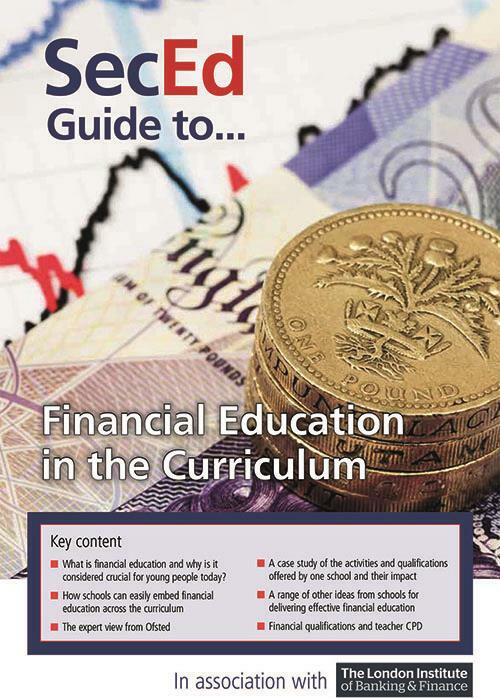 SecEd’s latest Guide To offers practical advice and best practice to help schools embed financial education across the curriculum. Produced in association with The London Institute of Banking & Finance, the Guide To looks at what financial education is, why it is considered crucial for young people today and the requirement for schools to deliver it. We then consider how schools can easily embed financial education across the curriculum, including the expert view from Ofsted. There is also a case study of the activities and qualifications offered by one school and a range of other ideas from schools for delivering effective financial education.